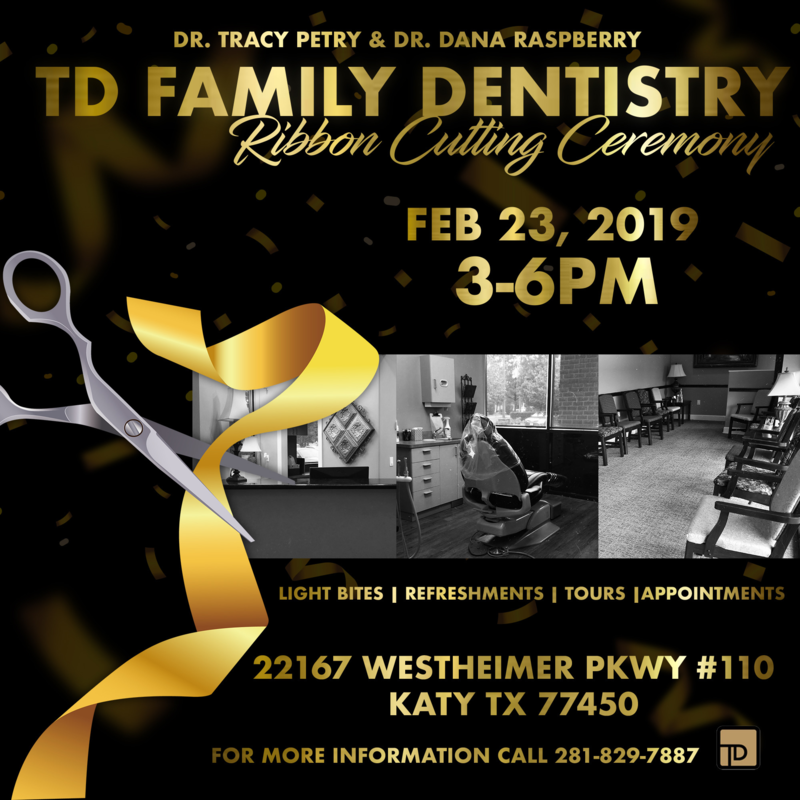 Dr. Tracy Petry and Dr. Dana Rasberry cordially invite you and your family to attend a Ribbon Cutting Ceremony for the official grand opening for TD Family Dentistry in Katy, TX. Please join us on Saturday, February 23, 2019, at 22167 Westheimer Parkway #110, Katy, TX 77450. Light refreshments, beverages, appointments, and tours are available on site. We hope that you can join us for this monumental event. Please RSVP no later than February 19, 2019.